Can you believe it's almost Easter? It's probably a little easier to believe if you're here in California enjoying this amazing sunshine with me!! 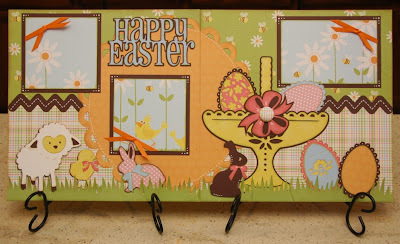 Well, ready or not, here comes my latest class/kit, a "Happy Easter" layout - with a fun 3D bonus project too! This sweet layout is perfect for pictures of your favorite boys or girls, enjoying Easter Day - chocolate faces and all! 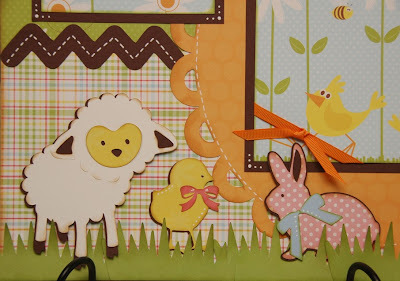 It uses the new Easter mini cartridge, and adorable papers from Three Bugs in a Rug. See details below. This layout will be available as both a class and a kit. For you NorCal locals, the class will be held Wednesday, March 10th at 6pm here at my home in Rocklin - AND you'll get to learn how to use the I-top brad maker from Imaginisce if you're in the class, as well as the Center Point function on your Expression. Class is $25, including materials. Kits are also available for shipping, and will include all of the patterned papers, cardstock, ribbon and a pre-made super snazzy I-top brad. Plus you'll get my detailed, yet easy to follow directions with Cricut Cut Chart that shows you line by line exactly what you'll need to cut on your machine with all of the settings. There are also well-organized written instructions and plenty of color photographs. Kit is $25. Shipping is $5 in CA, and ranges $6 to $9 for the rest of the US, depending on location. Kits will ship out on March 12th. To sign up for the class or order the kit, email me at moniquegriffith@yahoo.com. Be sure to include your zip code or state if ordering the kit, so I can calculate postage. I also have other kits - just check out the slide show at the very top of my blog to see what's available, and I'm happy to combine shipping. 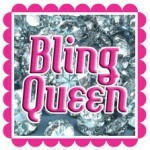 I accept PayPal, checks or money orders. To complete this project as shown, you will need the following supplies: Cricut Expression and mat, Easter 2010 mini cartridge, green and light brown chalk ink (optional, but helpful), Crop-a-dile or hole punch, 3D pop-dots, white gel pen, adhesive and standard tools such as paper trimmer, scissors, etc. 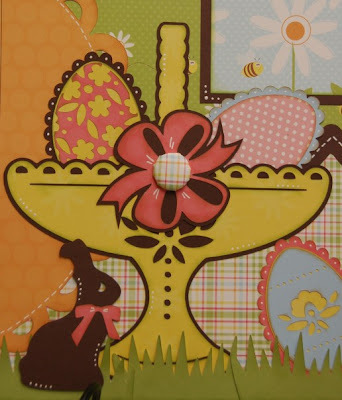 If you don't yet have the Easter mini cartridge, it's adorable, and you can get a great deal on it from Hallmark Scrapbook HERE. It's a pretty inexpensive cart, and super adorable! And check out this fun and simple 3D bonus project! 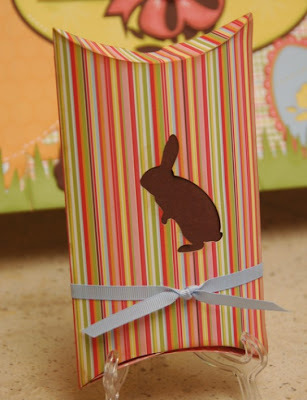 You'll get to make this as part of your kit, and then fill it with your favorite Easter candy. Mmmmmm!! Speaking of candy, be sure to check out yesterday's post below as there is some BLOG CANDY going on, so don't miss out! Monique!!!! This is so beautiful!! I am not worthy! what else can I say, another beautiful project!! Really--where do you keep coming up with these--If i had half as much talent and a tenth of the organization it takes to do these kits--I am afraid of what I could accomplish--you did it again--a TOTAL WOW!!! This is so cute! I wish I had this cart. I really like the bunny pillow box!! Oh Monique, that is just gorgeous.. I did sign up for that class, didn't I? Just way too cute. Monique, your work is flawless and inspiring! Once again, you out did yourself!! You are AMAZING!!! Is there anything you can't do!! I can't wait to show my friends...I am e-mailing you immediately for my kit!! 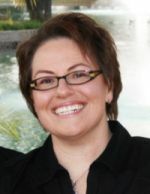 Bev B. Love the colors of the Easter layout. so many items for a mini cart. congrats on your guest designer for the OMC. Your work is just amazing. 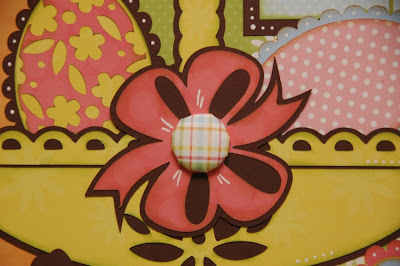 I love the cards, and projects done with the Sweet Treats cartridge. I sure wish I lived close so I could take one of your classes. I am so bad about matching colors, and yours is just beautiful. I made it:) Now if I can just win the Sweet Treats cart:) Thanks so much for your great pics and sharing your creativity! !